It’s that time of year again. 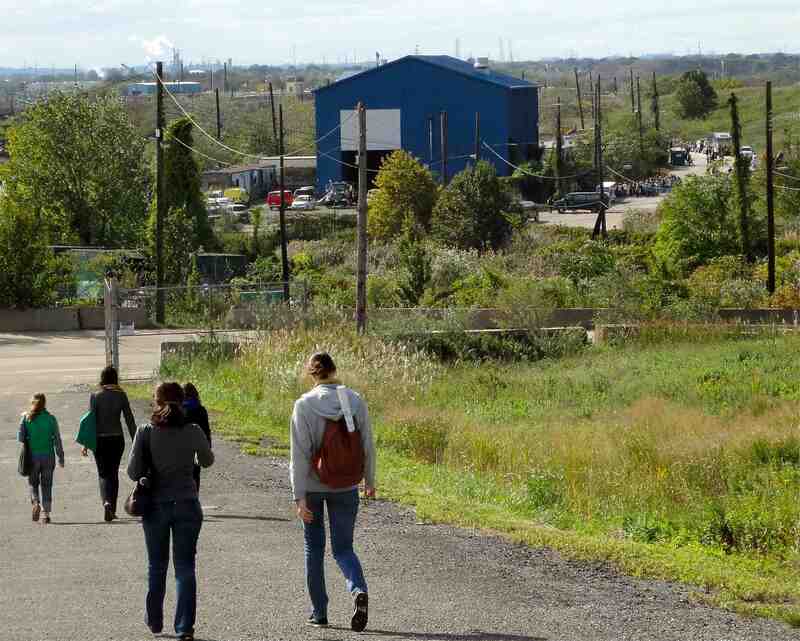 The team at Freshkills Park is hosting the second annual Sneak Peak on Staten Island this coming Sunday, October 2. For last year’s inaugural Peak, the organizers expected more or less 800 people, but instead nearly 2,000 turned out for a day of walking, canoeing, horseback riding, and kite flying, among other activities. It seems that a curious public is quite eager to see what’s becoming of this storied landscape! This year’s event promises to be even richer, with an exciting list of exhibitors, craftspeople, tour guides, kayaking opportunities, food, music, and lots of art. And this year, travel to the site couldn’t be easier. Free water taxis from Battery Park travel a hauntingly beautiful route across the upper harbor and then along the North Shore and the Arthur Kill, and there are free shuttle buses from the St. George ferry terminal on Staten Island (details on transportation are here). This entry was posted in Art, Environment, history, Urban and tagged celebrations, events, Freshkills, Sneak Peak. Bookmark the permalink.